hi-luckystore has no other items for sale. Exactly as described. Thank you so much. Shipping was fast and item is as described. Game is fake. If the seller cares, please contact me. Item is a bootleg? This isn't mentioned. DO NOT BUY. This is a fake game being passed off as a real one. 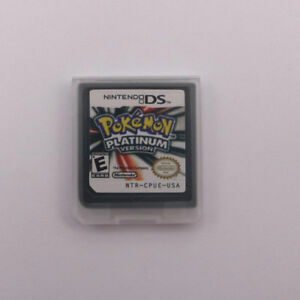 HOT Pokemon Platinum Version Game Card is a fake one. DO NOT BUY.